Sudoku, crossword puzzles and Rubik's Cube fans will be thrilled: The 10 Wooden Puzzles require head and mind and are also another visual highlight. Each puzzle is unique, exciting, is fun and a real challenge. 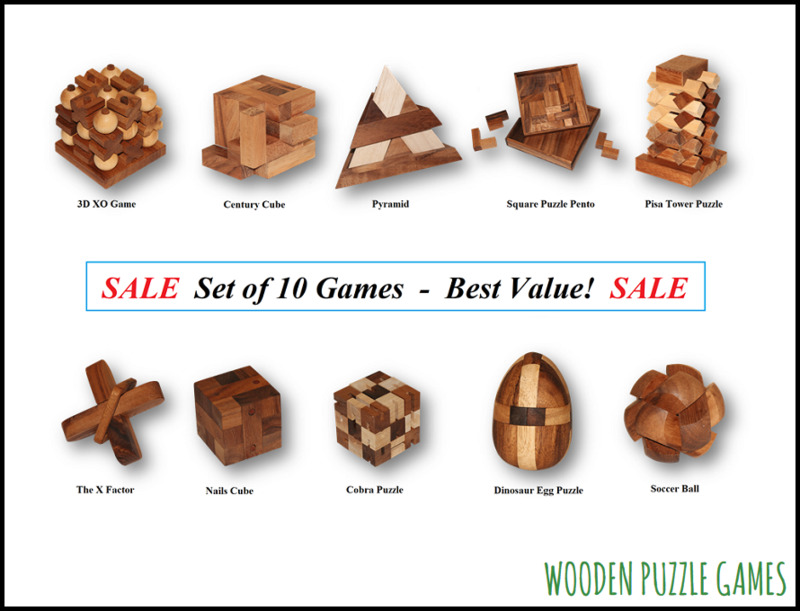 This set of 10 tricky wooden puzzles and puzzle games for all ages including solution manual is also an ideal gift.